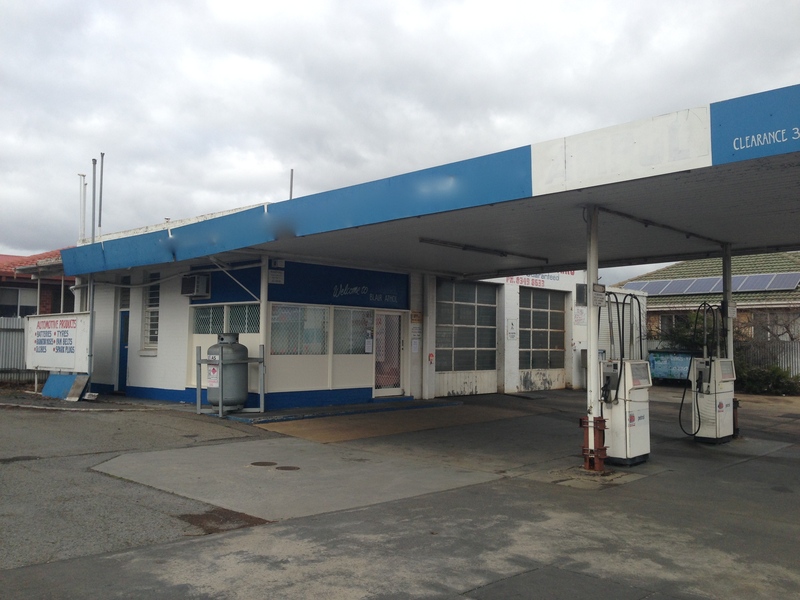 Service Stations – are they a relic of the recent past? I was driving along a road that I had travelled many times during the 10 years during that I worked in the area. 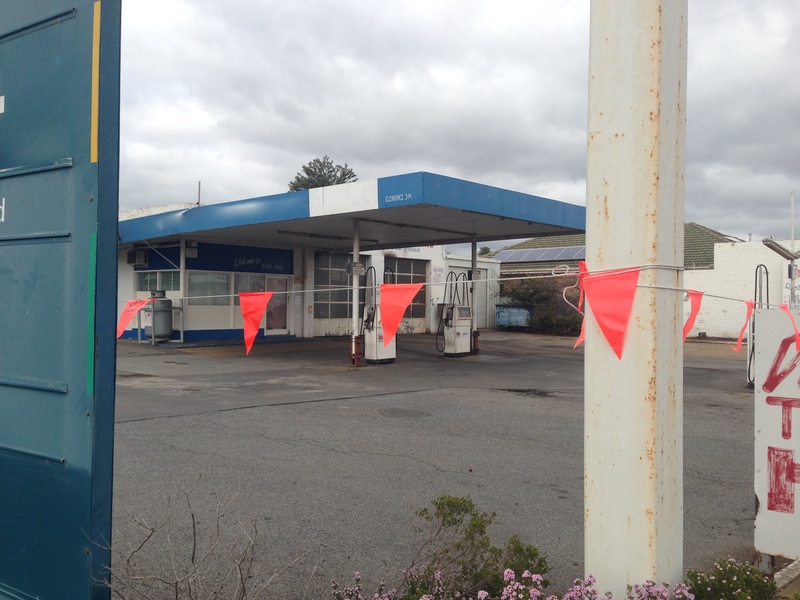 Convinced that this local grass roots, no frills business man had finally been beaten down by the corporate giants, I stopped my car and stepped over the flags that reminded me of a crime scene. Poor Gino! He gave such great service. 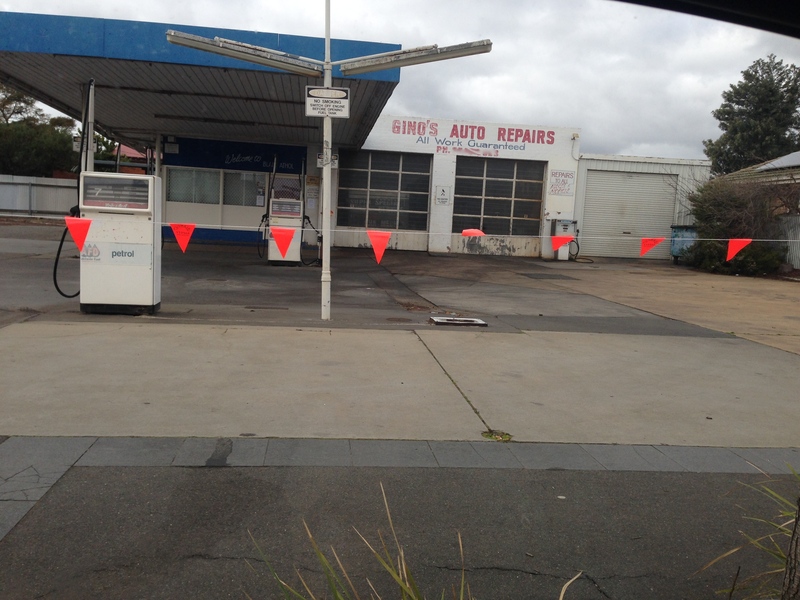 I will miss him (even though I hadn’t filled up my car there for years, he was still the Village mechanic). 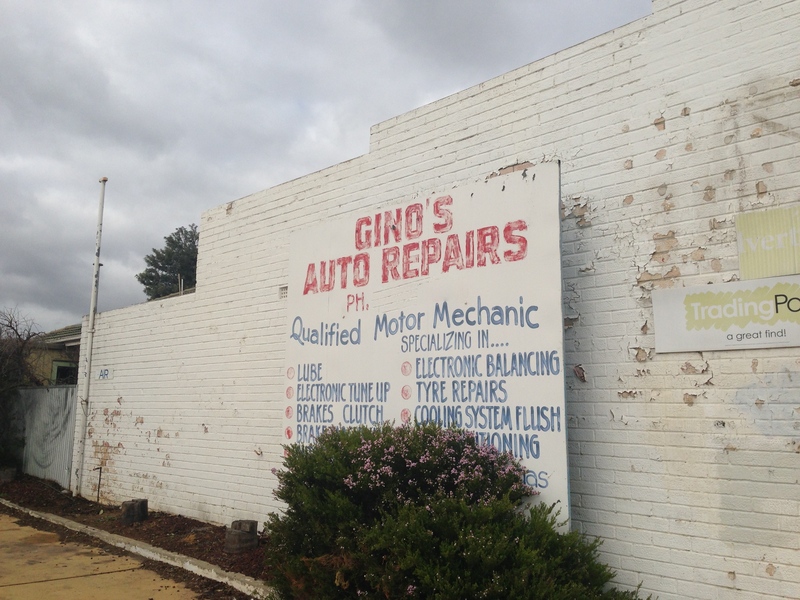 Gino gave such great service he was always booked and people who had moved out of the area would even bring their cars back to him, such was Gino’s reputation. We didn’t care that everything looked like it needed a coat of paint or that his hands were deeply ingrained with oil stains when he handed us our change. They were working hands! No robotics in Gino’s workshop! I looked at his familiar sign, grey clouds framing the simple words and felt a sense of loss that was totally disproportionate to the moment. Except of course if you are a community worker who has been watching the Village crumble over recent times as supermarkets stomp on the corner store and community organisations fall victim to budgets and politics, the Village Green now a carpark so to metaphorically speak. 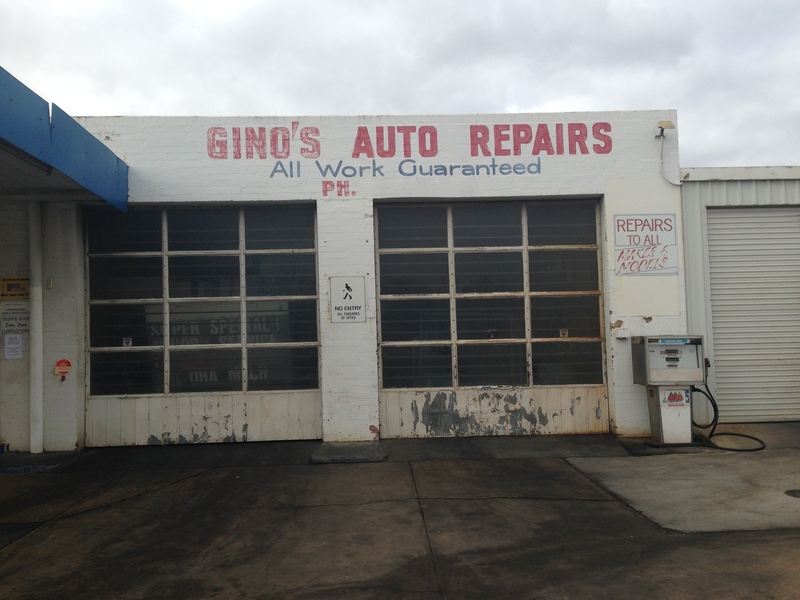 Gino, we will miss you and your workmanship guarantee. As I walked solemnly towards the door I had walked through so many times, fully immersed in sentiment and not-very-nice-thoughts toward the corporate world, I saw a sign on the door. Details of how to pay outstanding accounts? I stepped closer to read it…the flags making a slight flapping noise, the sky becoming ominously darker. 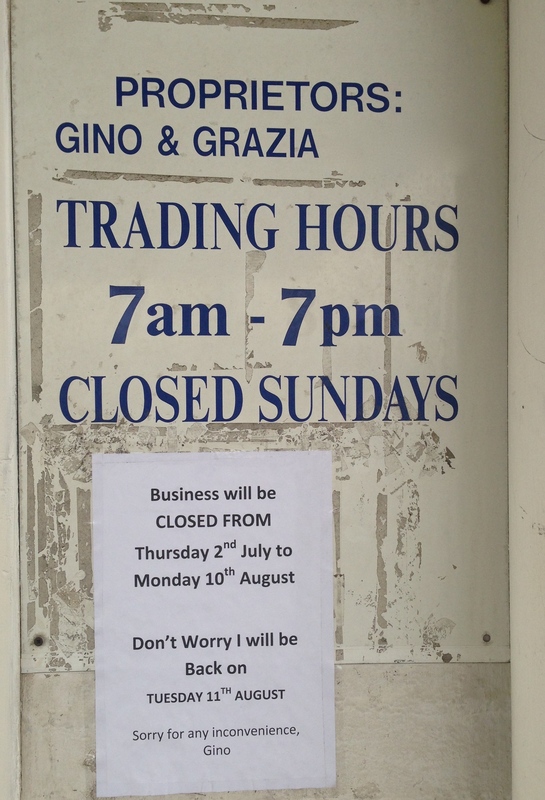 I could see the word Closed and wondered “where did Gino go”…. Gino!! You’re back!! I was so worried! 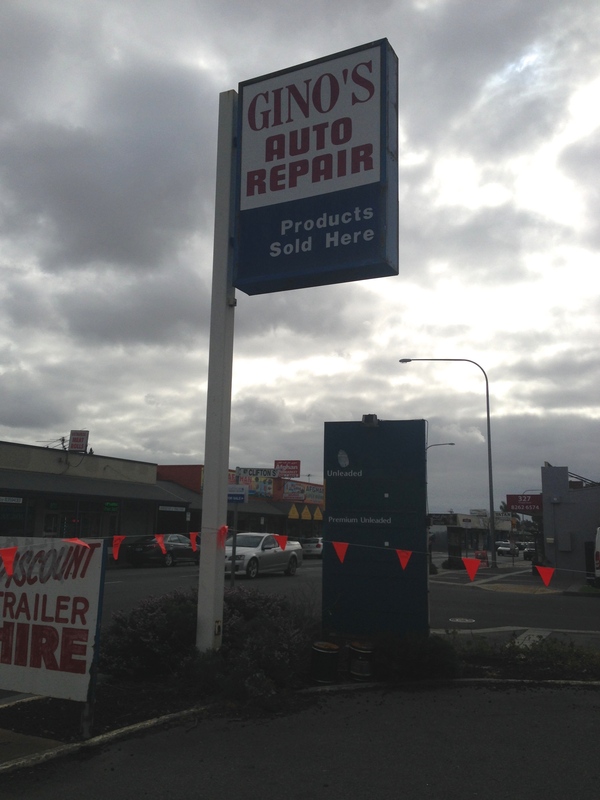 I walked back to my car after this 10 minute funeral for a business that has just gone on holidays and had not in fact suffered a fatal heart attack by the corporate giants and drove away thinking about those first three letters in the word assumption. And where Gino might have gone on holidays…to Italy?…I hope his family is okay because you never know, elderly parents and…and..